In September 2007, his YouTube account was shut down. All the videos he had sent to YouTube were no longer available. They included videos of police brutality, voting irregularities and anti-government protests. About 12 or 13 were of violence in police stations. He was shocked by YouTube's decision. Yahoo had shut down two of his email accounts, accusing him of being a spammer. Human rights groups said that YouTube was shutting down a useful source of info on abuses in Egypt just as the government was increasing its crackdown on independent and opposition journalists. Twelve Egyptian journalists had been jailed between September and November 2007. Elijah Zarwan thinks that it was unlikely YouTube was reacting to official government pressure. YouTube initially restored his account but not his videos, and said that his account was blocked because he failed to provide sufficient context about the violence. 187 of his videos were subsequently restored. Abbas has posted on his blog that Yahoo has restored his email account. 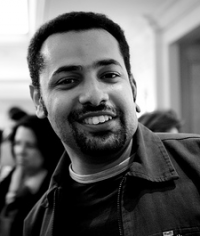 In November 2009, Egyptian blogger Wael Abbas has been sentenced in absentia to 6 months in jail, as a lawsuit was filed against him by a citizen and his police officer brother on charges of damaging an internet cable!. The appeal court canceled the sentence and acquitted Abbas on 18th February. On 8 March 2010, Abbas received a letter from the court informing him that he has been sentenced 6 months in jail, of course, in absentia. Until publishing this post, there isn't much information on this case or the charges against him. I will update this post with more details once things are more clear.